The American Cancer Society recently held its second-annual Southfield Corporate Relay For Life event at Lawrence Technological University (LTU) to support of the fight against cancer. Local businesses and professionals formed fundraising teams and collectively raised more than $20,000 to benefit the American Cancer Society! This year’s Relay For Life brought together 12 teams for an afternoon of music, fun and exercise to celebrate those who have overcome cancer, support those who are still fighting the disease and remember those who have lost their battle. The event included speeches from LTU President Dr. Virinder K. Moudgil and Michigan State Trooper Andrew Lambert, who is now cancer free after receiving his diagnosis less than a year ago. The atmosphere was energetic and upbeat as relayers did laps in the LTU Quadrangle and DJ Wild Wayne played music. In addition to the relay, many participants enjoyed a free session of outdoor yoga, compliments of Yoga Shelter. While the event was a huge success this year, The American Cancer society hopes to make the event even better next year. 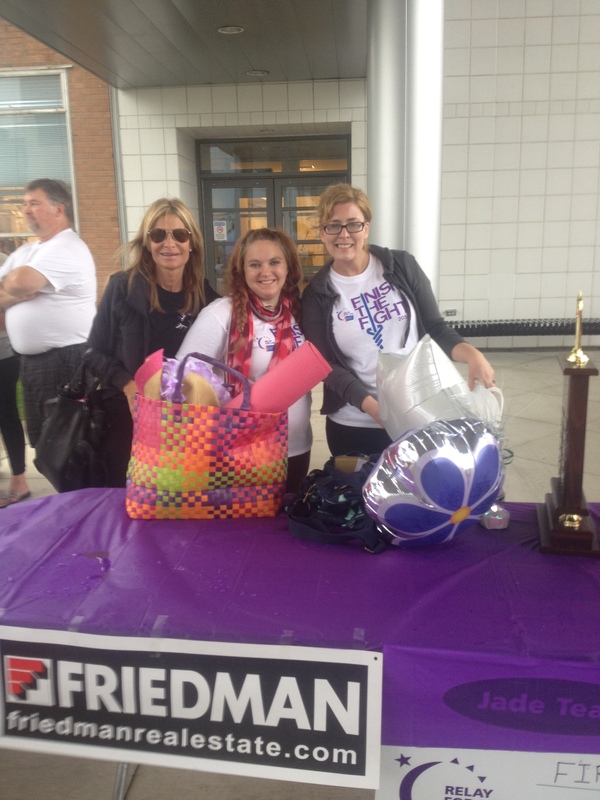 “The more businesses we get involved in the next Southfield Corporate Relay For Life, the bigger impact the Southfield community can have in cancer research and providing much needed programs and services to cancer patients and their families,” said Relay For Life Specialist Rochelle Holman. Many thanks to all of the 2014 Relay For Life participants who made this event both successful and fun! If you would like to sponsor, participate or help plan next year’s Southfield Corporate Relay For Life, please contact Rochelle Holman at 248-663-3419 or at rochelle.holman@cancer.org.